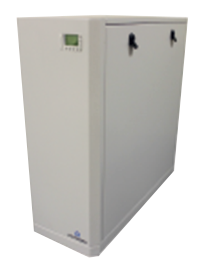 Envirosafe Ireland are suppliers of the Chromalytic HF Series (Specification: High Flow Nitrogen for LCMS). Typically used for LC-MS instruments, packaging, selective soldering, component storage applications. For purity requirements up to 99% Nitrogen. Systems up to 90 litres per minute of Nitrogen. Available in 30, 60 and 90 LPM variants. Choice of internal or external air supply models. Highest quality components to ensure reliability and long asset life. Energy saving ECO Mode as standard to reduce energy consumption and reduce CO2 contribution at times of lower Nitrogen demand. Available as standalone or non-compressor variants. Predictable, low cost of ownership – secure quick return on investments. Simple to setup, and integrate easily into existing systems. On board air supply – all you need is an electrical connection. Space saving – designed to conveniently fit under standard benches. Ensure peace of mind – Chromalytic support services will be with you to prevent, and respond to, untimely breakdowns.